Dietzgen media is custom-designed to meet the needs of architects, engineers, designers, and blueprinters who use CAD applications and large or wide format laser printers and copiers. 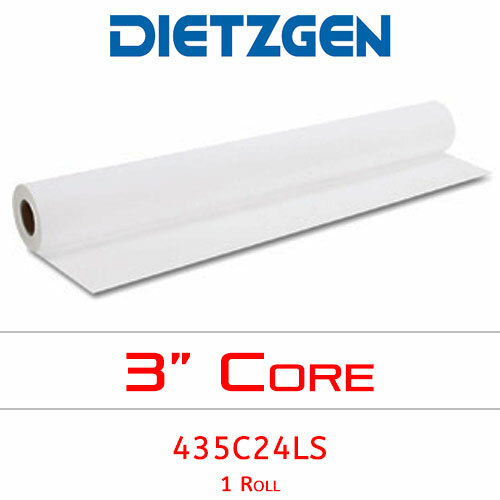 Dietzgen series 435 bond paper provides excellent toner adhesion and a dense image on a smooth, bright white background. Width of paper roll — 24"